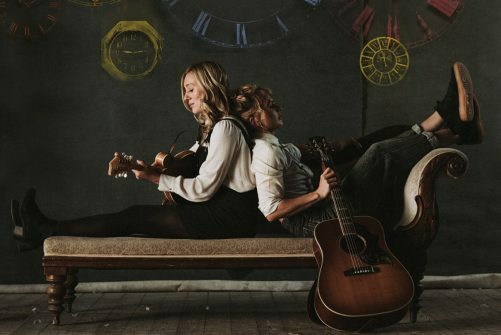 Following their sold out show at the Eagle Inn, Band on the Wall brings West Country folk duo Sound of the Sirens back to Manchester, this time for a headline show at Band on the Wall. Sound of the Sirens have announced their new album, This Time, out January 25th via DMF Records, as well as a 21-date UK tour starting in January. Their live shows combine a natural facility for connecting with their audiences and unforgettable performances with warmth, humour and, above all, real conviction. The album will be available digitally, on CD and black heavyweight vinyl, with signed copies available to pre-order now. ‘Troubles’ is available as an instant gratification with all album pre-orders.